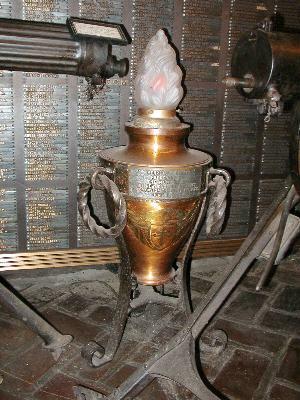 A light was installed in front of the Bronze Tablet with the intent of having it burn perpetually in honored memory of the men of the 314th Infantry. The original intention was for it to shine through the window and the grill in the entrance door to the Memorial Cabin so that it would be visible at all times. The Perpetual Light was designed by Victor H. Jones, a member of Company "I" of the 314th Regiment. He, along with Ray Nicholson, shared the title of "Chairman Emeritus of the Log Cabin". The construction is of wrought iron, with a cylindrical urn resting on three decorative supports. 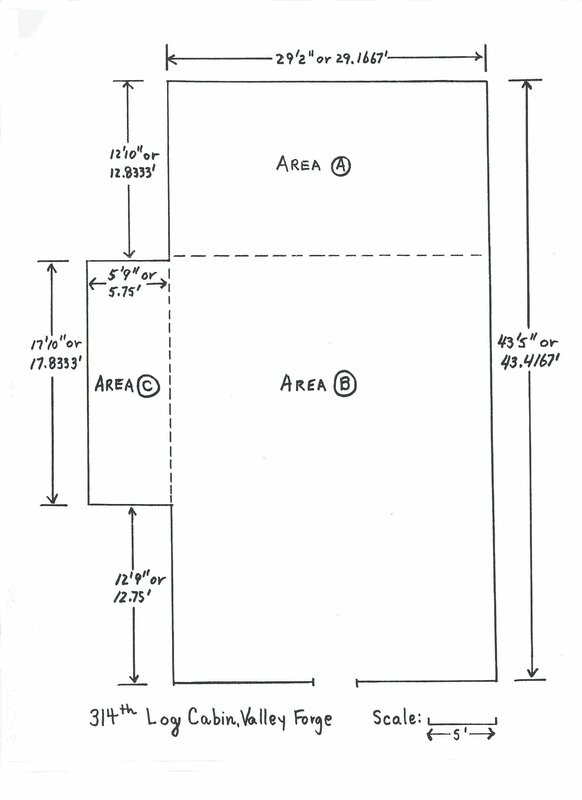 The overall height is thirty-eight inches. 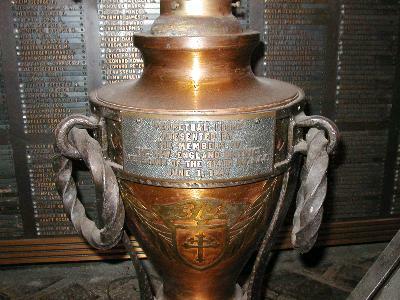 On the face of the urn is the insignia of the Regiment -- the Cross of Lorraine -- and over this, "The 314th Infantry" with laurel leaves in relief embellishing either side. The Perpetual Light was presented to the Log Cabin Memorial by the members of the New England District, Veterans of the 314th Infantry A.E.F. on September 21, 1946.